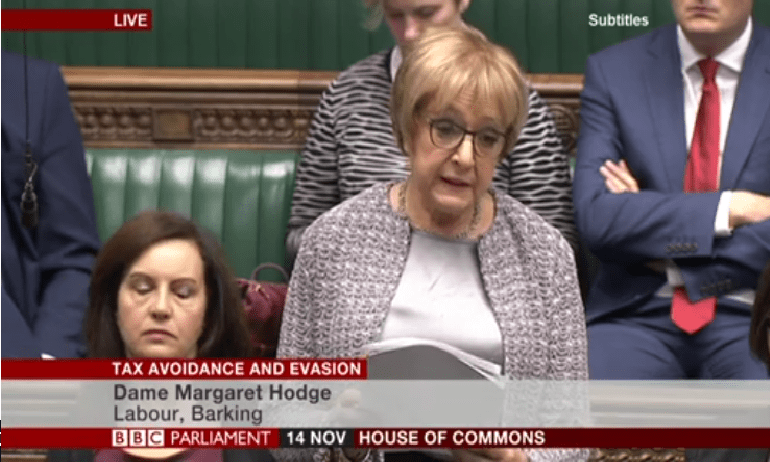 In the House of Commons, 12 words from Labour MP Margaret Hodge just blew the Paradise Papers scandal wide open. The Paradise Papers detail the offshore tax affairs of more than 120 politicians and leaders and over 100 corporations. The investigation came about after a leak of millions of documents from offshore law firm Appleby. Every £1 invested in HMRC enforcement yields £97 in additional tax revenues. "It’s a complete no-brainer that we should be strengthening HMRC and reversing some of the 40% cuts they have suffered under the austerity programme"
Since 2005, the number of HMRC staff has almost halved from approximately 105,000 to 58,000. And it looks like the government has no intention of changing course. HMRC also plans to close 90% of its UK offices and cut workers in its personal tax service by 30%. Yet according to analysis of HMRC’s own data, the government yields up to a 9,600% return on investing in tax enforcement. That makes sense, given the sheer amount of money we lose through tax avoidance and evasion. Tax dodging loses the UK up to £120bn per year, which is more than the entire NHS England budget. Rather than saving money, austerity cuts to HMRC are costing the Treasury a fortune. We want people to pay the tax that is due. But Hodge’s 12 words suggest that the Conservative government is actually encouraging tax dodging. Counterproductive cuts to the tax assessment and enforcement department are making it dead easy for the rich to get off scot-free. So it looks like the Paradise Papers are exposing the Conservative government as much as those named in the leak. Going behind one of the biggest global scoops of the year, VICE News Tonight’s “The Paradise Papers” offers an inside look at the undercover investigation of the leak from day-one, with exclusive access to the investigative reporters working in secret across continents to expose an unseen world of offshore accounts, hidden money and financial maneuvering at the highest levels of politics, business and finance. Award-winning documentary filmmaker Eric Weinrib filmed behind the scenes with the German newspaper Süddeutsche Zeitung, which first received the trove of more than 13.4 million leaked documents dubbed the Paradise Papers. The documents were then shared with the International Consortium of Investigative Journalists, who organized and oversaw the team of 382 investigative journalists around the world, as well as its U.S. partner, the New York Times, London’s Guardian, Russian newspaper Novaya Gazeta, and many more as the investigation unfolded. Produced with Ibrahim Balkhy and edited by Greg Wright “The Paradise Papers” reveals the story behind the story.